To create a Google Plus page you need to have a Google Plus account, I hope you have Google Plus account, actually there are many benefits of creating Google Plus account, but ultimately it will help you to drive traffic to your blog or websites, or wherever you want. So, here I am going to give you step by step guide to create Google Plus page for your blog. 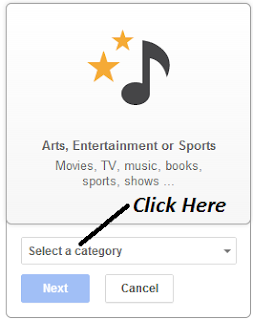 Then you will see your Home page of your Google Plus profile, then just get your cursor on "Home", then a drop down menu will open. Now click on "Create a Page"
Which option you can see on the right top of the above screen shot, then you will see another page, as I have given below a screen shot. 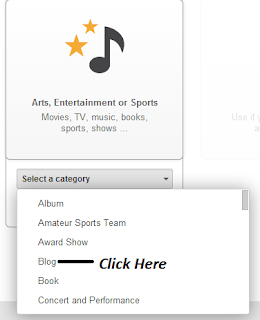 You can choose any category, according to page related but if you are creating a page for blog, then click on "Arts, Entertainment or Sports", then you will see another page, little small one, I have given below a screen shot too. 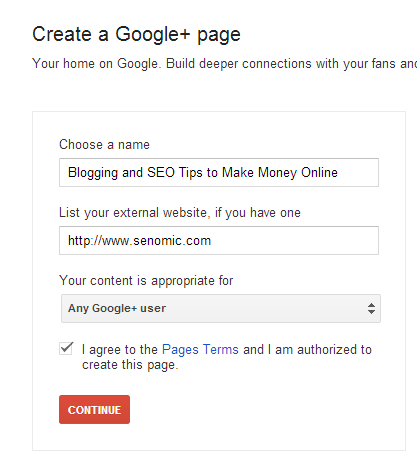 Now, it's time to choose a name for your page, it's up to you, what's name you want to give for your Google Plus page, after giving name, enter your blog name like http://www.senomic.com. For your better understanding, I have given below a screen shot too. After doing above all, click on "Continue". 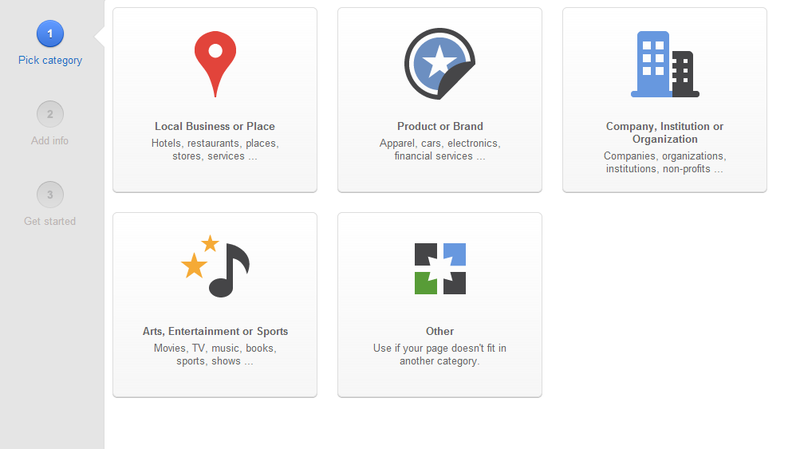 Then you will redirect to another new page, as I have given below a screen shot for my Google Plus page. 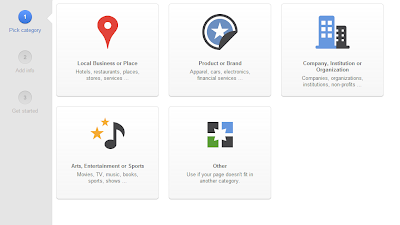 Now, write about your blog and then add contact information, which will describe your Google Plus Page in better way. 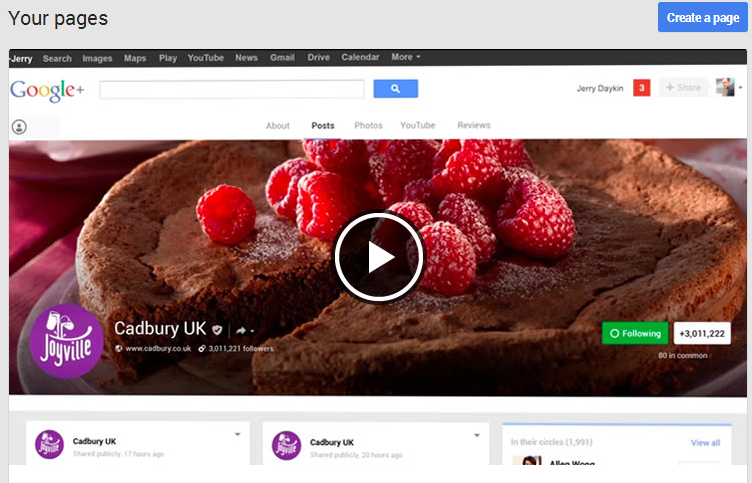 Now a popup window will open, which allow you to choose a photo from your desktop for your Google Plus Page. To change cover of your Google Plus page, just click on "Change Cover", then again you will see a popup a window open, which will allow you to choose a photo for Google Plus page cover. The last step that is click on "Finish". You have created a Google Plus page, congrats! I know it took your little bit time to create Page for your blog, but later it will help you to drive more and more traffic to your blog. Have any problem, don't hesitate to ask.